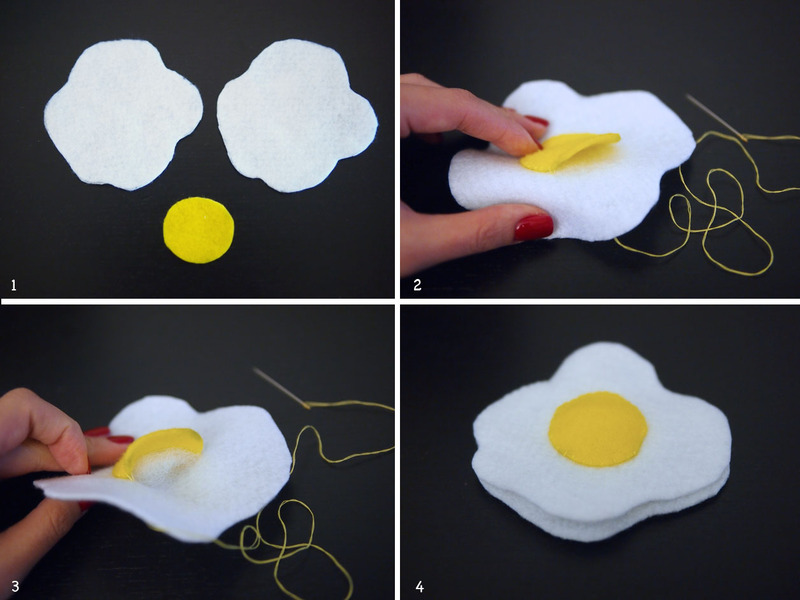 Cut two identical pieces of felt in an irregular shape and a piece of round yellow felt similar to the ones in diagram. Place and sew the yellow felt near the center of the white felt and leave a small opening. Insert a bit of cotton in between the yellow and white felt and seal the remaining opening. Stack the two white felt together and sew them together with white thread. 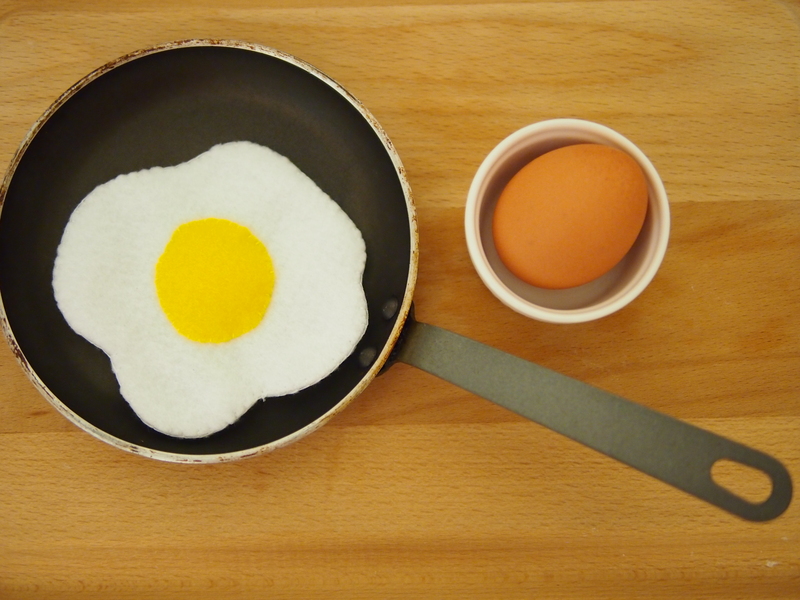 Tags: eggs, felt crafts, felt food, kids learning. Bookmark the permalink.